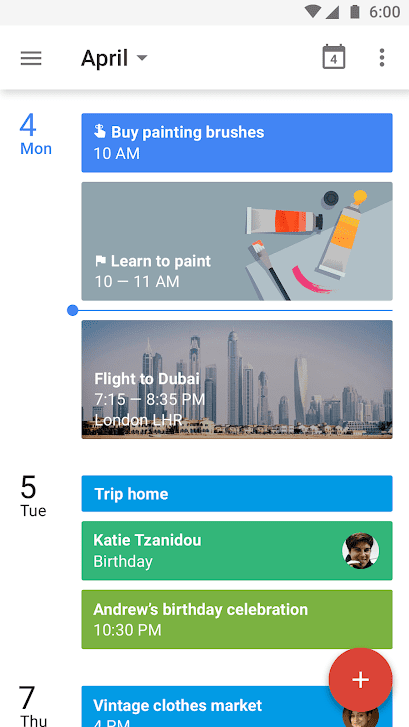 Any.do is a handy application for creating to-do lists, purchases, notes and work with the calendar right on your Android device. Thousands of people from all over the world use an application that helps them manage routine daily tasks or large business projects. A perfect combination of a calendar, a system of reminders and notes. The app easily synchronizes in real time between all your Android devices and even your PC. In this way, you can quickly access up-to-date notes at work or at home. The system of notifications will help not to forget about important things (you can set it as a one-time reminder, or a repeating one). The joint work system allows colleagues to work on a project together, and the family to distribute household tasks. 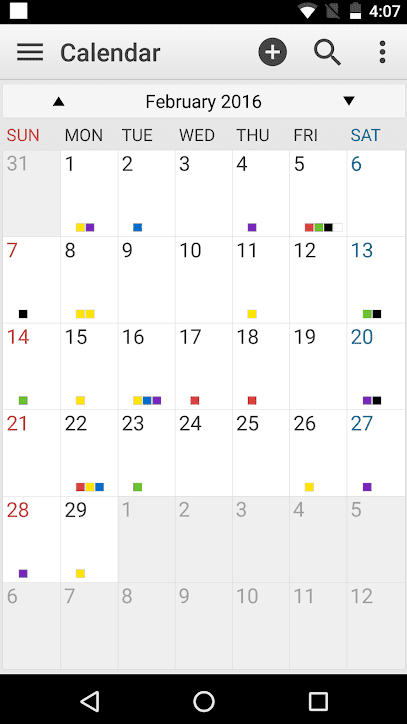 One of the main advantages of the application is the “smart” system of working with the calendar. Here you can easily create a note or file on a need date or time period. Also, the system synchronizes data between different calendars, whether it’s a built-in calendar on the device, or Outlook, events on Facebook and other similar applications. Do you want to simplify the creation of notes even more? Use the speech recognition function. Just say what you have in mind, and the application itself will create a note. But the most interesting feature of the application is the ability to add notes directly through the mail. To do this, just send a letter to do@any.do, attaching files to it from a PC or cloud storage. 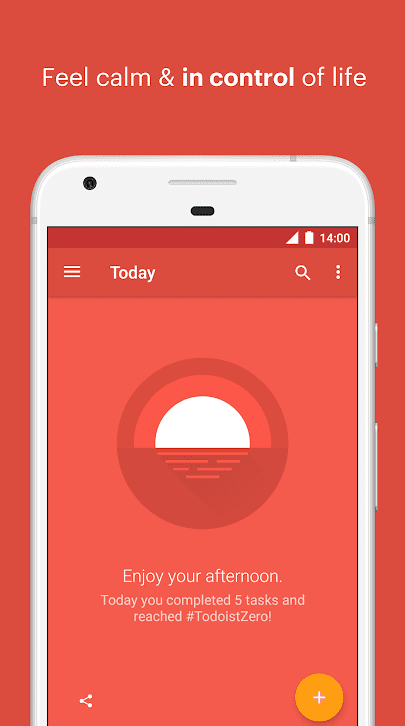 Todoist is a software for devices based on Android, which allows you to create multifunctional task lists. Todoist is used by many users worldwide. Download the application and have time to do more amazing things, correctly planning your time. Maintain motivation, increase productivity and achieve goals in difficult situations. Take advantage of the ability to manage the application offline. Add the desired targets from your smartphone, PC, smart gadgets or e-mail. Thanks to round-the-clock synchronization, all devices will be up to date with the latest changes and achievements. You will never miss a deadline, having completed all tasks on time. 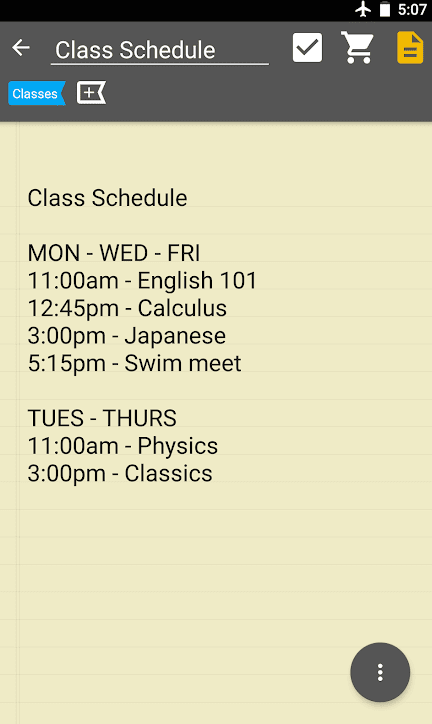 Plan your day or week wisely. By using sub-tasks, prioritize, giving priority to things of primary importance, and then to the rest. There is a convenient color separation. It is possible to share a project or task, add a comment. If your colleagues make changes, you will receive a notification from the system. 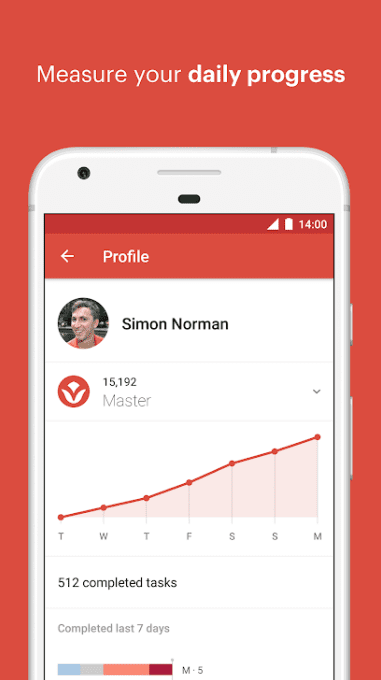 With the Todoist Karma function, get collect bonuses and see how your achievements are transformed into graphics that show your progress on the project. It is possible to integrate with Google Disk or Cloud Magic, as well as IFTTT and other partners. Get notifications or task lists right on your Android watch. In the “Premium” version, the user will be able to receive notifications or SMS about a particular date, time or geolocation. You can add notes to tasks, use different filters, or upload data to lists from cloud-based storages. Try the convenience of using voice commands or choose one of the 10 beautiful themes for your mood. Store the necessary information at your fingertips with Evernote application! With this application, you can save any notes in a convenient form and synchronize them between devices. After installing the application, you will receive a complete set of tools for convenient organization of information. Keep records and save ideas in a searchable format (notes, notebooks, to-do lists and various tasks). Notes can be saved not only in text format – add pictures and photos, audio and video files, PDF documents, MS Office files and even copies of web pages. Is there already a ready-made note on paper? Don’t rewrite it manually. With the application, you can scan the records on paper, digitize business cards, documents, handwritten text and even pictures. Do you create notes from different devices and forget about important things? The global synchronization system will help automatically merge notes from a PC, smartphone, and tablet. Start working on one device, and the application itself will make changes on the other. Share your thoughts with others – sharing tools will help in this. Create, share and discuss work with colleagues directly through the application interface. Search the text on pictures, and add comments in different places of the PDF-document. Use the application in everyday life. Need to go to the store? Create a note-list, enter the necessary goods and mark already bought. 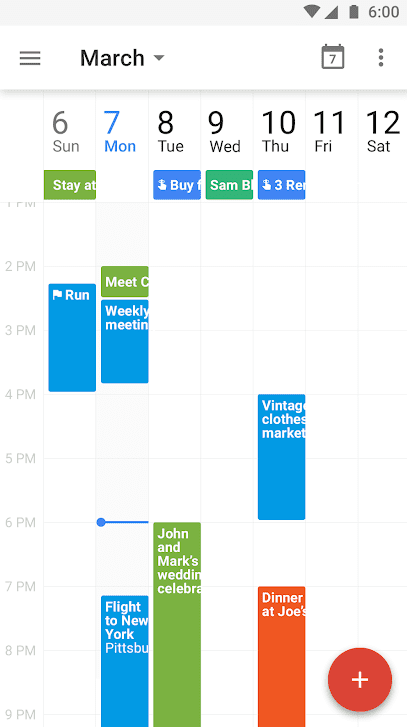 In the same way, you can make a list of tasks for business, travel schedules, party reminders and much more. The application can also be used for work: create presentations, share ideas with colleagues and schedule business meetings. Supervise projects quickly and efficiently, breaking them into separate tasks and transferring them to other employees. Students can use the application to make notes on lectures, copy and save important information from the Internet for course and laboratory works, view and edit documents, group projects, make notes in draft versions of works and much more. Rationally plan activities at home, at work or while relaxing with a smart organizer for daily use To Do List. The application is really handy. No matter who you are or what you do, your tasks will be well organized in any case. Focus on important things at home, at work and in your spare time. 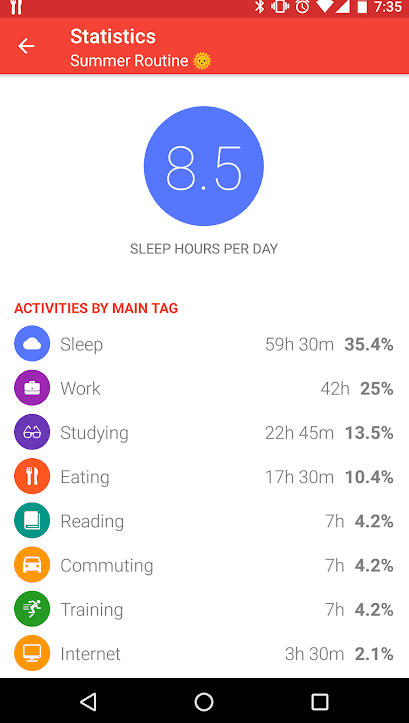 The main features of the application include a convenient task manager, group tasks in a convenient list, interactive widgets, prompting about the nearest affairs, notification system and synchronization with Google. Add tasks via voice commands and set various notifications – textual (can be converted into voice speech), music, with or without vibration. 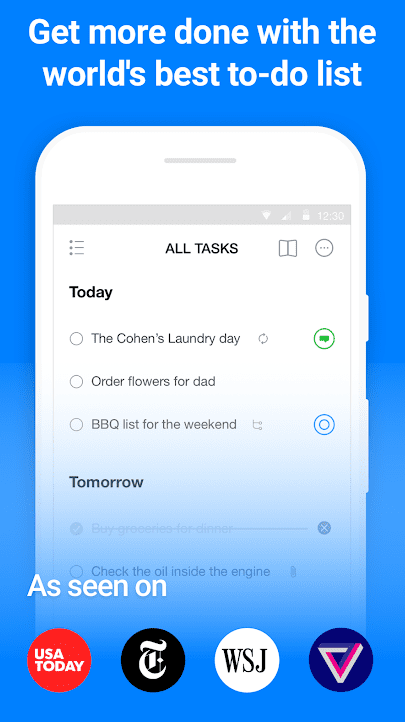 The application bar will always keep you informed of the immediate tasks, and the quick note feature will allow you to add important information to the to-do list for a couple of touches. Need to go to the store? Make a list of purchases and mark the goods purchased. The application supports round-the-clock and regular tasks (every hour, every day), and also allows you to attach the task to any date in the future. Two-way synchronization with Google Tasks allows you to edit notes on multiple devices at once. 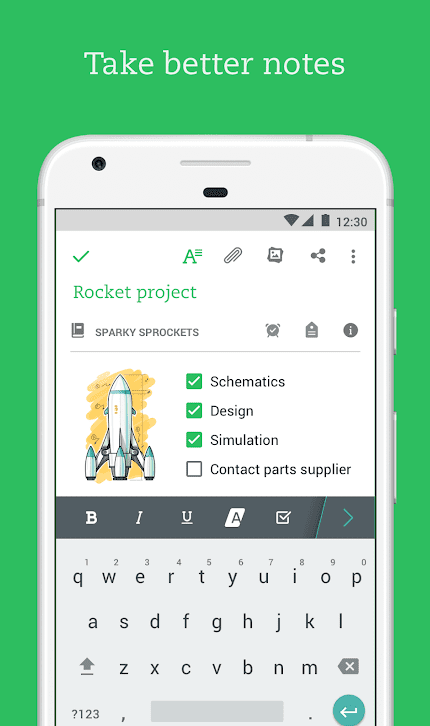 Group tasks, sharing notes between Android applications and many other useful options are available absolutely free. 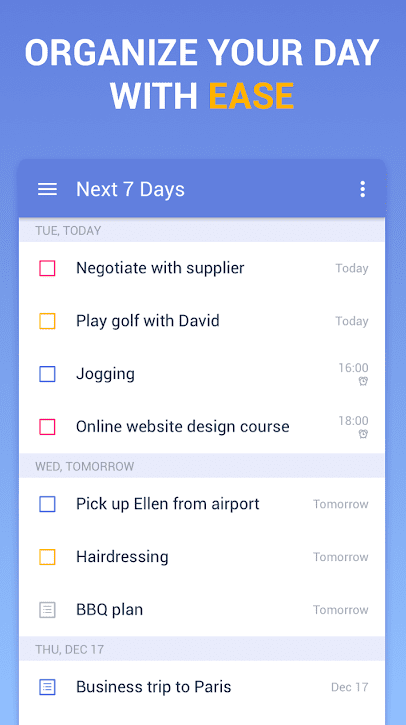 Save information about routine daily tasks and various important thoughts in the form of notes with a simple application Notepad & To do list for Android. Through this notebook, you can easily create and modify notes directly through the web browser (all data is available even offline). The application is easy to use, just like a regular notebook. 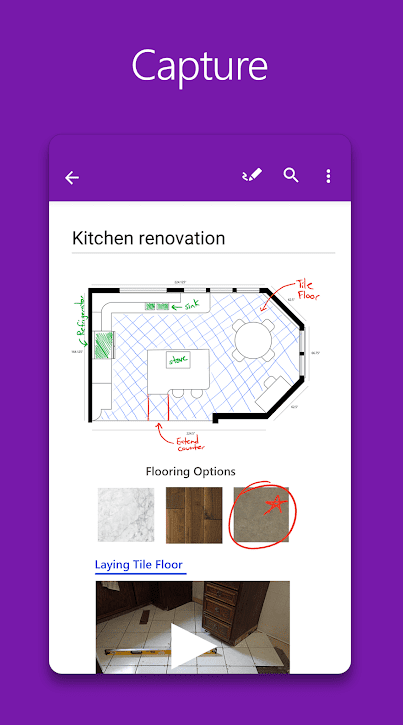 In the main application menu, you can immediately see a list of created notes and a large button with a plus sign to add a new one. You don’t need to create a header for a note – it is automatically generated from the first line of the text. Are you constantly visiting the store or doing routine daily tasks? With the function of creating a list, you can make a list of tasks or purchases, and then mark them with ticks. All notes are automatically saved in the device memory, but for greater convenience, you can always make backup data to a memory card as a text document. Also, the application can be synchronized with the cloud storage, and make backup copies of notes on the Internet. A convenient search system is available directly from the main menu – click on the search icon and start typing. The results are sorted by the greatest likelihood. To return to the full list, just click on the cross. A convenient text editor, search and delete system, as well as the system of sharing via SMS, Twitter and e-mail make the application really convenient. Wunderlist is an application that helps millions of people from all over the world to write and save their ideas, tasks and visited sights. It doesn’t matter if you want to share the shopping list with another member of the family, work with colleagues on a joint project or plan a vacation – the application will easily share information and collaborate with other users. Thanks to fast synchronization, the application can simultaneously work with several of your devices (smartphone, tablet, PC), which will allow you to access the lists anywhere in the world. The main function of the application is the ability to create your own lists and access them directly from your smartphone, tablet or PC. Lists can be easily shared with other people, discussed in a special chat. You can attach photos, videos and other files, including PDF / Word / PowerPoint documents. Control different processes, delegate tasks, set reminders for important cases, organize work projects both at home and at work thanks to the “Folders” function. The ability to group task lists into folders. Set the deadline for the task. You can attach a voice message to any task. Synchronization of information in real time. Get notified by e-mail or get push notifications as significant changes occur. Ability to print any list of tasks. 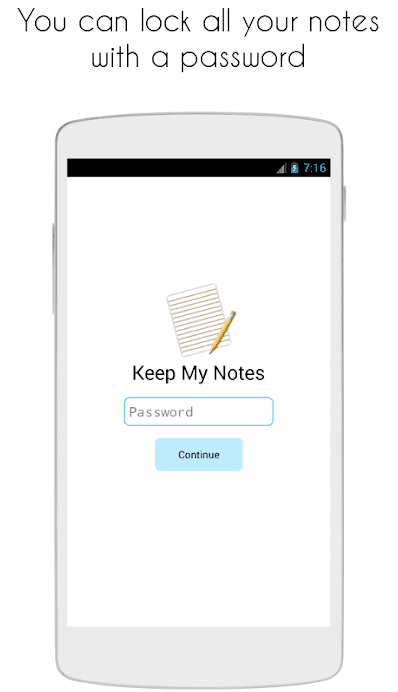 Keep My Notes is a free application that allows you to keep a diary or create notes on any mobile device. 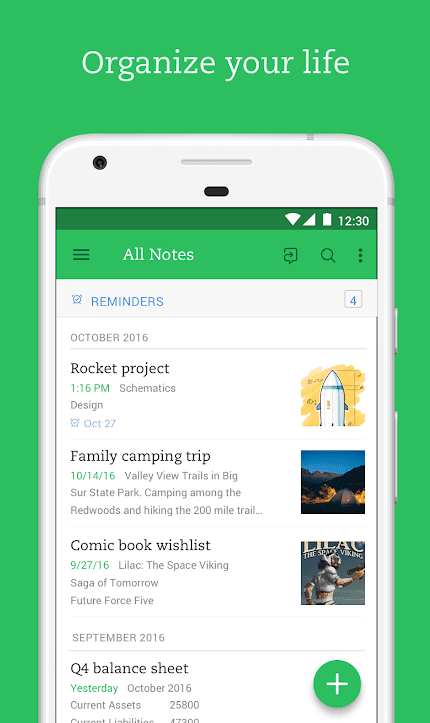 Keep My Notes is a simple and fast application for Android, allowing you to plan your day and create notes on your smartphone or tablet. Its interface is simple and clear. You can choose the light or dark design of Notepad in the settings of the application. And for each note, you can customize the color cap, font size, and color, make the font bold, italic, or additionally highlight with color. You can attach photos and make sketches by hand to notes. For all texts, a spell check is available (also without an internet connection). If you don’t want the contents of the note to be read by someone, you can put a password on the note. Now you can safely store pin-codes from cards and passport details on the smartphone – no one except you will not get access to them. And in case of unforeseen situations, you can create a backup copy of your notes, so that you can always restore them. Microsoft OneNote is a digital notepad that allows you not only create records, plans, lists, and graphics but also have access to them from any device. All your notes in one application – and always at your fingertips, wherever you are. OneNote is an indispensable assistant when working on a common project when all participants can make changes and discuss them. Summarize lectures or seminars, adding photos of formulas and graphs written on the board to the text. Make lists of purchases, send them to relatives. The application supports both printing and handwriting. There is an opportunity to insert pictures, audio, and video into the note. And, of course, all the necessary functions for comfortable work with large amounts of text: indents, underscores, highlighting, italic and bold fonts, sections, tags. For quick access to notes, there is a mini-application mode that you can access directly from the work screen without starting the main program, viewing the latest documents and editing them. With a modern calendar from an advanced IT-company, you can stop wasting time and begin to spend every day with profit and productivity. The application has several viewing modes, which will allow displaying all the data in the most convenient format: by days, weeks or months. All activities that are in your Gmail, immediately become available on your smartphone after authorization. If you decide to buy a ticket for a train or plane, book a room in a hotel or a table in a restaurant, the event itself will be added to your calendar. 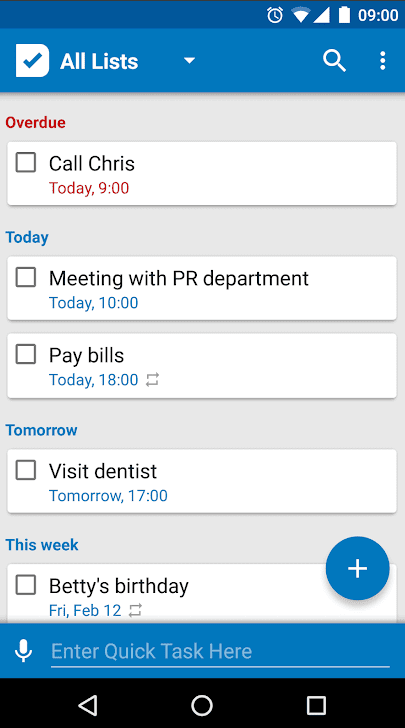 Thanks to a convenient system of reminders, you can view the created to-do lists and view them together with events. The calendar allows you to set goals and achieve them: for example, running three times a week, doing exercises every day and the like. The application itself will find free space in your schedule for such occupations. The calendar also has a built-in assistant for creating events – names, available venues and guest lists are inserted automatically. Thanks to a single calendar, you can synchronize data between all similar applications on your smartphone, including Exchange. Jorte is a multifunctional calendar and your personal organizer. The design and management of the application are very simple and stylish and don’t differ much from usual paper analogs. You can choose different display styles (31 days, by week, by day, by an hour), flexibly adjust the application to your needs and create your own unique design. It isn’t unimportant that all events and tasks can be divided by importance and you can add different colors and types of notifications. In addition, Jorte allows you to synchronize all notes with Google, which makes it easier to work and allows you to always be aware of the affairs and events. A large number of widgets of different sizes. In general, working with the application doesn’t cause any difficulties, everything is intuitively understandable. 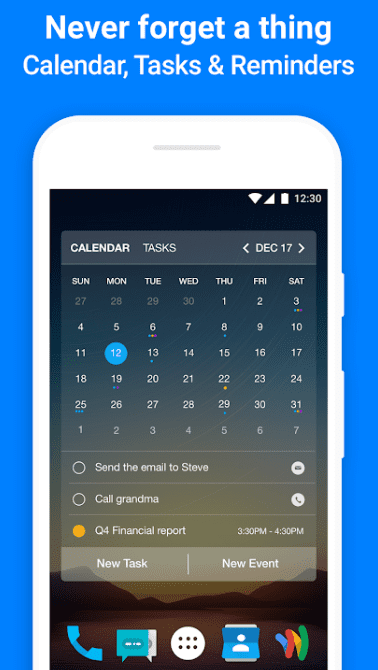 Without a doubt, Jorte can be called one of the best calendars for Android-smartphones. It has not only a simple and pleasant interface but also a huge number of various settings, which allows you to customize the application individually and according to your needs. With this advanced application for creating notes, you will forget about annoying stickers on the refrigerator! Keep important thoughts at any time. 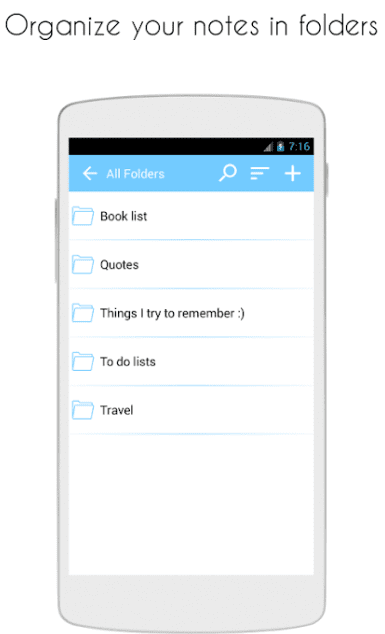 The application combines the functions of a simple notepad and an advanced organizer. Keep the information on purchases and important matters in a convenient format. Creating notes has never been easier. The user interface of the application is a multicolored palette of notes with the possibility of fine-tuning. 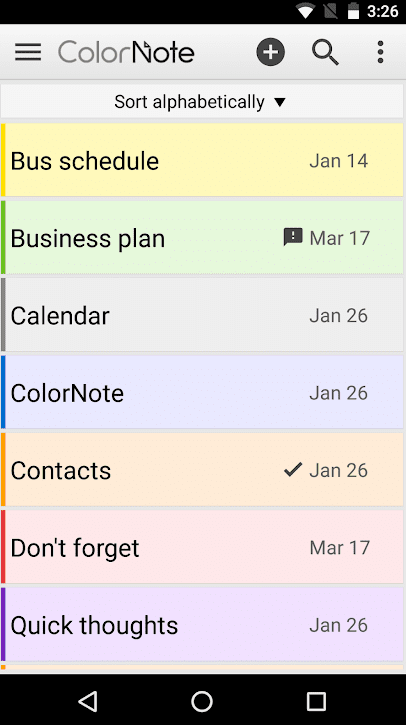 The notebook itself supports ColorDict, so you can customize colors for different types of notes (purchases, trips, important phone calls) and never forget about the planned. You can, for example, create a note with usual text, and then set the date, time and format of the reminder via the built-in calendar. 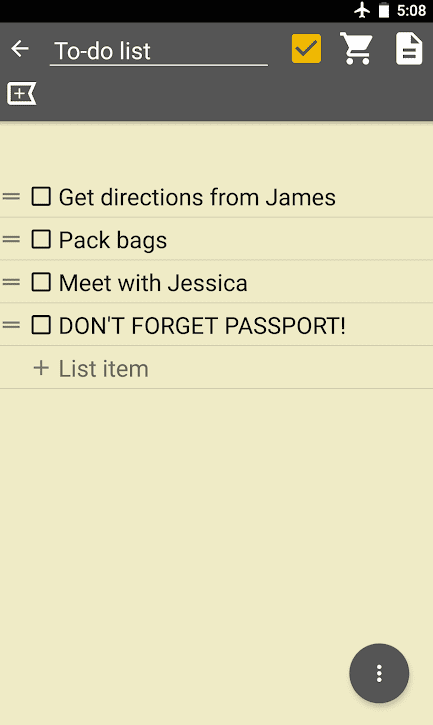 And to make daily shopping easier, use a note-list: write a list of goods and mark already bought with ticks. The application is synchronized with the Android notification system: any note or message about the upcoming meeting will be displayed in the top drop-down menu of the smartphone. You can also upload a note to Google Drive or save it to a removable memory card, send it by email or SMS, and share it on Twitter. Do not be afraid to transfer personal data: the application encrypts all information on the AES standard before uploading to the network. Notes can be synced between different Android devices and password protected. The application is a well-implemented reminder: you can edit the time and type of signal, repeat mode, set notification message, etc. For normal operation of the application, it needs access to the Internet to save notes and online synchronization, as well as access to changing data on removable media. TickTick helps to plan every day and not to miss a single deadline. If you work together with the colleagues, you can open access to other people’s affairs. This is a powerful and flexible tool for planning current affairs, allowing you to schedule work for yourself and for the whole team. To access all the features and synchronize data between devices, you need to register with the service. This can be done directly from the application interface. 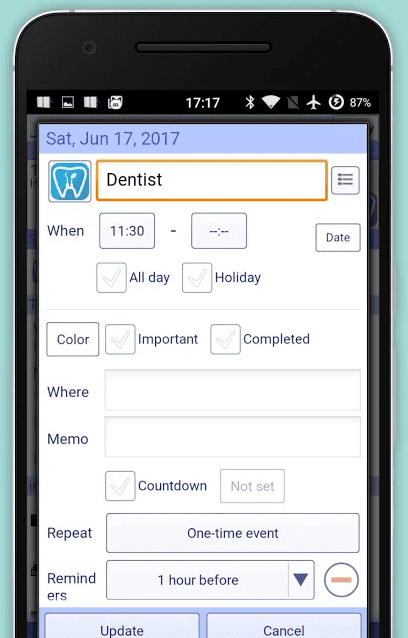 The main functions of the application are free, but there is also a pro version – with additional features, including various types of calendars, more lists, reminders, attachments, and other utilities. 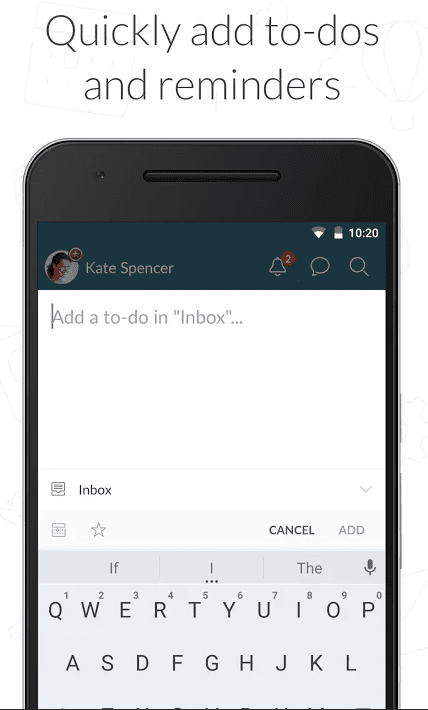 Lists of things to be done can be created with the keyboard of the device or by voice commands. Each added task can have a specific deadline or you can make it repetitive, which is convenient for sports training and habits formation. By the way, in comparison with other organizers, in TickTick repetitions have a lot of settings. At the scheduled time, the program will show reminders in the form convenient to the user. A vibration and a pop-up window are available, both of which can be used simultaneously. In addition to a personal diary, the program allows you to create a to-do list that is available to other users. This works well for group tasks. For convenience, you can create separate folders for such lists. Having access to his tasks, the employee takes them to work and closes as soon as they are completed. And the manager immediately sees how the work on the project is progressing. Users can exchange lists via e-mail, social networks, and instant messengers. The design of the application varies due to a variety of themes, so every user will customize the interface as he wants. TickTick is a powerful scheduler, even if you use only free features. Convenient planning of personal tasks makes it a convenient daily. The mobile application regularly receives updates and demonstrates correct and stable operation. 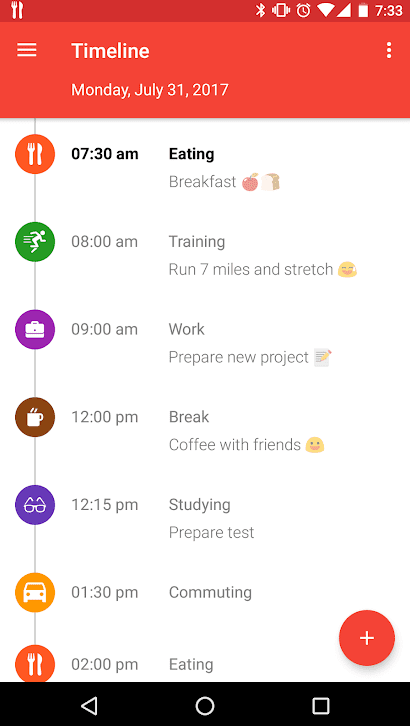 The main function of this application is that you write down specific plans for the day, and choose the time period for which you need to do everything. After that, you can indent and repeat the procedure again. In general, it is something similar to the organizer, but it will show not only the list of things to do but also the optimal time that is required for their implementation. In order not to miss anything important, activate special reminders that will not allow you to forget about the planned. The program can be used both for work and everyday worries. Created charts can also be sent to other people, this is especially true if you work as a trainer or doctor. The main purpose of the TimeTune application is to increase your productivity and efficiency, as the competent use of time is the basis for all activities. With the help of the program, you will have time to do much more, and you will never forget what you planned to do. Build for yourself the optimal schedule, with which your activities will become much more effective, and at the same time easier. The interface of TimeTune is very simple and clear. You can customize the graphics using keywords and phrases that will be clear to you.